By combining the sweetness of milk chocolate, and the saltiness of Sea Salt, makes one dynamite treat! 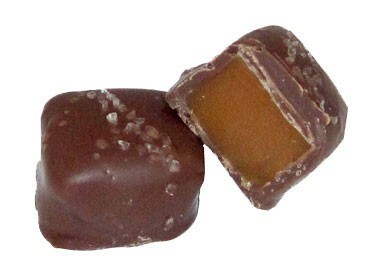 Delicious Sugar Free Vanilla Caramels with Sea Salt is something you definitely need to check out. These are delicious and decadent! I can't tell they are anything but real sugar! The sugar alcohol content was too high for my tummy but if I do one a day, I'm ok!